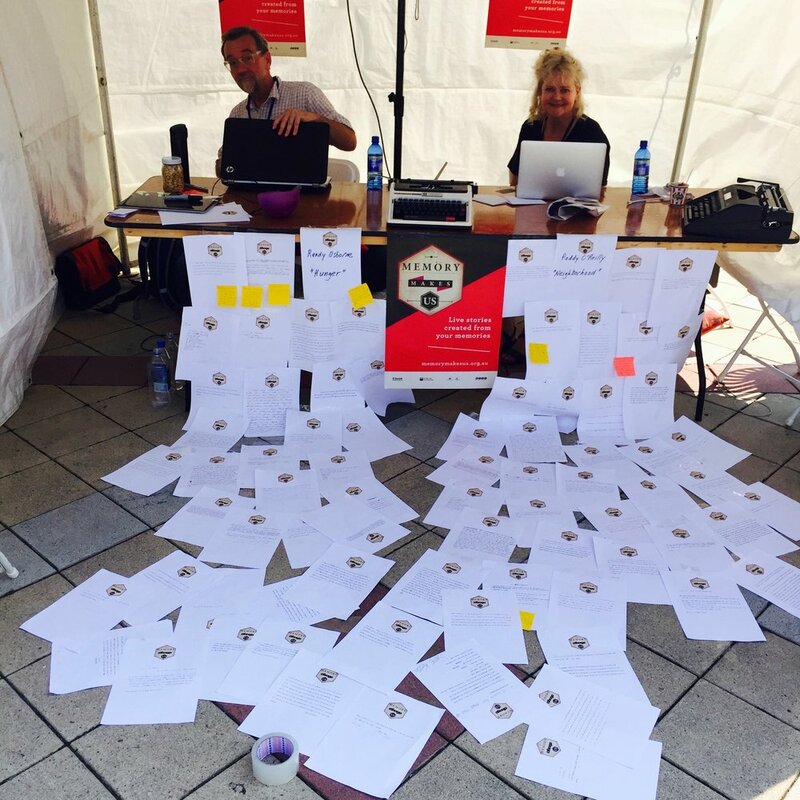 A travelling live event that challenged writers to create a new work using as their inspiration memories collected from the general public. The project sought contributions from anyone both online and in person during each event in a unique interaction between artist and audience. Your memories could take the form of text, images, or video. Submissions were published to the project web site and provided to the authors who had the option of incorporating those memories into their work in progress. 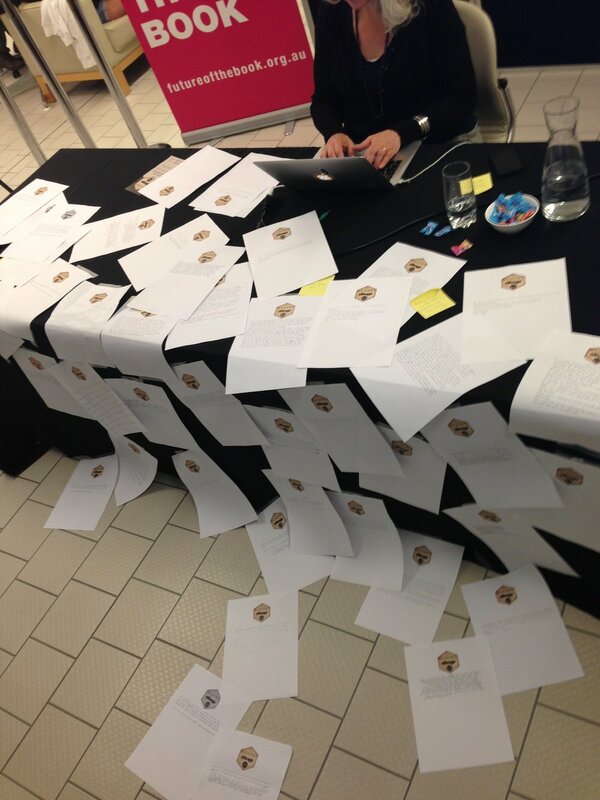 For each event, up to three authors sat before their computers in a public space and wrote. Their work was fed to a large screen and simultaneously to the project web site, every keystroke visible to the world. The audience, both online and in person contributed to the writing in progress by providing the authors with a memory. Memories flood in online direct to the web site and, in person, via the manual typewriters at the venue. As the number of collected memories grew throughout each event, they were attached to the author’s table, eventually reaching the floor and ‘flowing’ out towards the audience as a visual marker of progress and an interesting diversion for any memory voyeurs. For the writers involved, this was performance distinct from other performative aspects of literature: it wasn't a reading of a prepared work, nor was it freestyle poetry. It was improvisation not with speech but with text and the tools of contemporary writing: keyboard and cut-and-paste.